*Registration includes delicious appetizers + one drink ticket (beer, wine, or margaritas); cash bar available. 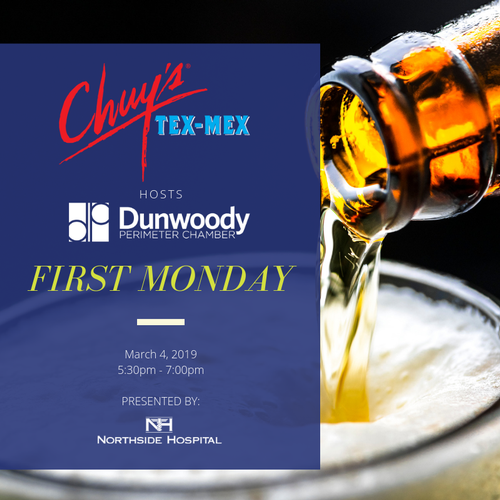 Join the Dunwoody Perimeter Chamber on Monday, March 4 from 5:30pm to 7pm for our monthly First Monday Networking event at Chuy's Perimeter. 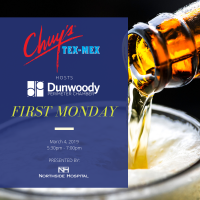 This exciting monthly networking event will also afford attendees the opportunity to network with other business leaders throughout the Perimeter Market while enjoying wonderful appetizers and cocktails (beer, wine, and margaritas) at Chuy's Perimeter.